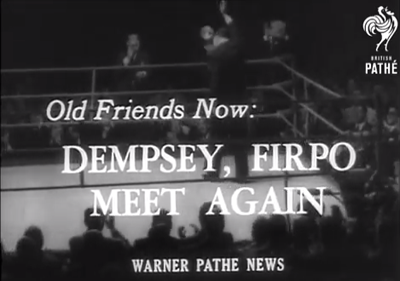 I may be too young to have fond memories of the newsreel, but I certainly remember many of the World War II Warner Brothers cartoons that ran during the newsreel’s heyday. Those short clips from around the world defined the first half of the 20th century by showing audiences what radio could not. Then along came television, & the newsreel slipped into oblivion. I remember coming across the British Pathé website several years ago after watching “The King’s Speech.” Reading about Edward VIII—if memory serves me correctly—he visited Argentina just before abdicating & British Pathé had footage to prove it. I often search the internet for photos or video like theirs because the background images intrigue me the most. 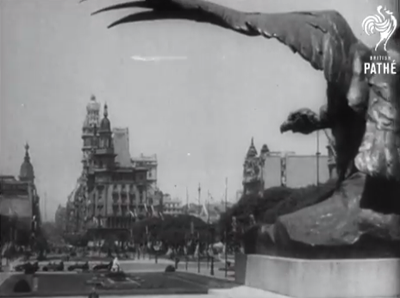 While I can’t travel back in time to see Buenos Aires (yet… ), newsreels are the next best thing. Just log on to their YouTube page & do a search for Argentina. Oh, my. New York greets President of Argentina (1959)… that’s Frondizi in the motorcade. The dialogue is priceless. Then there’s San Juan after the 1944 earthquake. Or “Argentina seethes with revolution” showing the 1930 military coup (Dictator Irigoyen?! )… Eisenhower in Argentina (1960)… silent footage of Buenos Aires in 1971… even the San Telmo market during the 1960’s. Have fun looking for your favorite place in the world!